The 653SKG Dual Action Orthosis, offers patients the same outstanding features of our 652SKG APU® (Adjustable Posterior Upright) Orthosis and valgus/varus adjustments - all in one device. 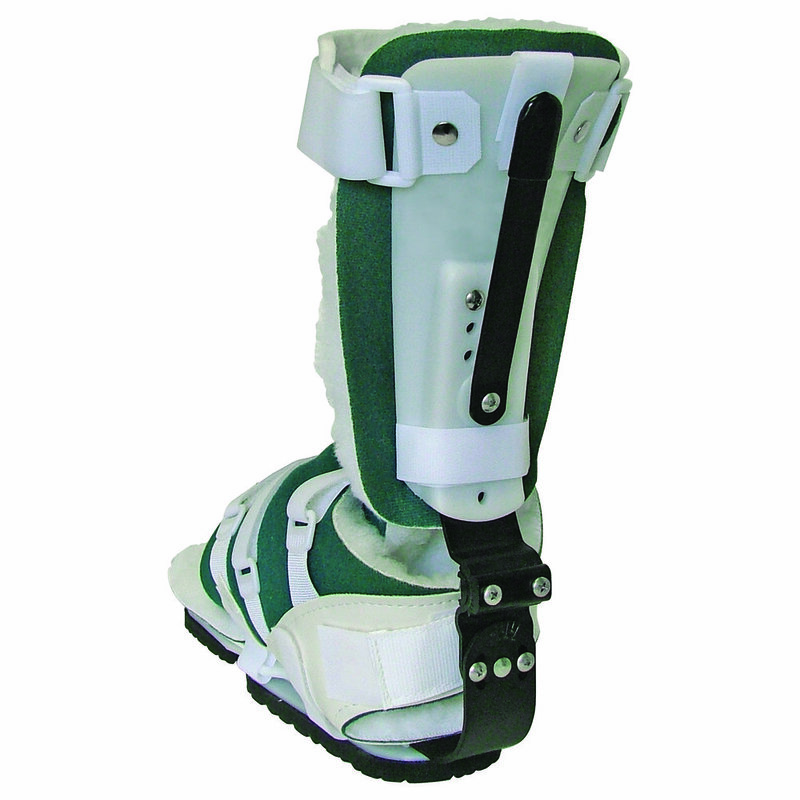 The 653SKG Dual Action Orthosis accommodates and helps control varus and valgus conditions of the ankle/foot complex. Further more, practitioners using the Dual Action Articulating Ankle/Foot Orthosis will find it to be a more precise and simplified method of setting the ankle/foot complex in the sagittal plane to accommodate ankle dorsi/plantar flexion. NOTE: The posterior ankle strap is shown inside theupright in the adjacent photo. When fitted properly, the strap is outside the posterior upright bar.